Situated in Mittagong, this motel is 0.1 mi (0.2 km) from Destination Southern Highlands and within 3 mi (5 km) of Mount Jellore Lookout and Sturt Gallery. Artemis Wines is 3 mi (4.8 km) away. Mittagong Station is 9 minutes by foot. 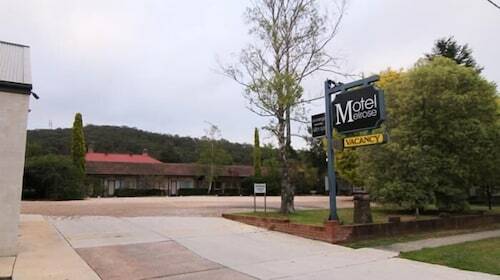 Situated in Mittagong, this motel is 0.1 mi (0.2 km) from Destination Southern Highlands and within 3 mi (5 km) of Mount Jellore Lookout and Sturt Gallery. Artemis Wines is 3.1 mi (5 km) away. Mittagong Station is 8 minutes by foot. 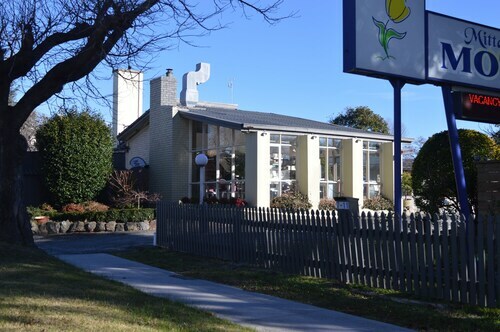 Situated in Mittagong, this motel is within 6 mi (10 km) of Corbett Gardens, Bowral Golf Course, and Centennial Vineyards. 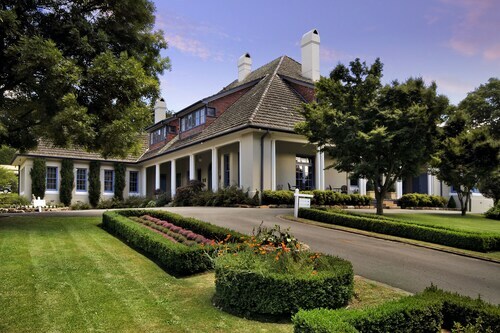 Harper's Mansion and Berrima Gaol are also within 9 mi (15 km). Mittagong Station is 12 minutes by foot. 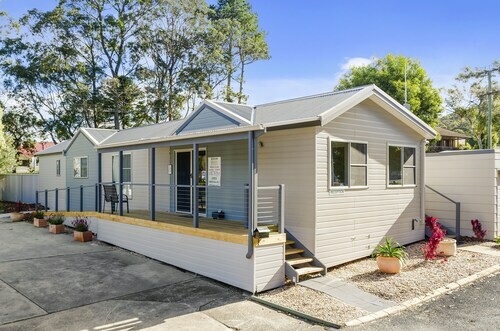 Situated in Mittagong, this golf cabin is 0.4 mi (0.6 km) from Destination Southern Highlands and within 3 mi (5 km) of Mount Jellore Lookout and Sturt Gallery. Artemis Wines and Corbett Gardens are also within 6 mi (10 km). Mittagong Station is 14 minutes by foot. How would you like to escape to a place where the wine flows fresh and the bush walks aren’t ruined by crowds? Where old fashioned shopfronts line the streets as mountains loom on the horizon? Mittagong is one of the main commercial centres on the Southern Highlands, a national park and wine region on the Great Dividing Range. Relaxation is a given in this New South Wales town, where lush parks can be found close to 19th century sandstone buildings. Book your Mittagong accommodation with us for a taste of small town life that, like a good wine, will leave you feeling refreshed. Mittagong’s name springs from mysterious origins, but the most popular theory is that it’s an Aboriginal word for ‘Little Mountain’. With three mountain reserves close by, it makes sense. In the past Mittagong was known for industry, particularly the slightly strange combo of iron and dairy. With a population of roughly 8,000, a Mittagong trip will give you room to breathe. Ready to start exploring? The city centre has plenty of heritage-listed shops and cafes, particularly in Main Street and Victoria Street. Grab your morning coffee and start browsing the antique stores! If you’re keen for a mall-style shopping experience, the modern Highlands Marketplace Shopping Centre features a Woolworths, fashion stores and a food court in one handy location. Of course, you might have come to Mittagong to get away from civilisation. And fair enough! Mittagong has many beautiful private gardens and several of them, like Red Cow Farm and Back ‘o The Moon, are open to the public. Take a walk through the setting of your very own romance novel with hedges, pines, lilacs and flowers surrounding you. Craving even more peace and quiet? Mittagong lies between Mount Gibraltar and Mount Alexandra, two volcanic peaks that are perfect for bushwalking and feature lookouts with spectacular views. While you’re in the highlands, be sure to take a wine tour. With over 60 cellar doors in the region, you’re sure to find the right drop for you. Come to the region from late September to early October for Tulip Time Festival, when thousands of bulbs are planted in Corbett Gardens in the nearby town of Bowral. You can let the display of bright colours dazzle you or head to Bong Bong Street to watch marching bands, floats and vintage cars parading down the road. 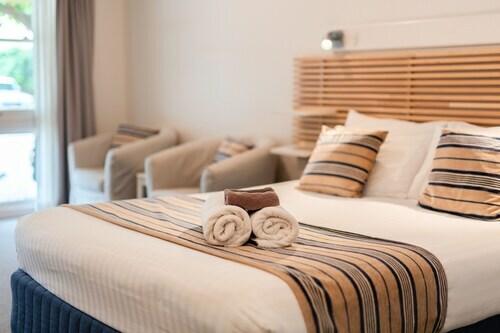 If the Southern Highlands sound like your kind of destination, book your Mittagong accommodation with us and get the rest and relaxation you’ve been craving. How Much is a Hotel Room in Mittagong? Hotels in Mittagong start at AU$92 per night. Prices and availability subject to change. Additional terms may apply. My friends didn’t like that there wasn’t a cupboard. I really liked the storage shelves they were great. Staff were superb. Property was tranquil and the room everything you could want.